We have rooted ourselves as the leading enterprise committed towards providing Low Temperature Thermoplastic Sheet. Length: 2000 mm (standard). Odd length also offered against specific request. 1 mm to 12 mm- For Formable - 'P' Sheets. Ultra High Performance thermoplastic polymer, unfilled Polyether Ketone, semi crystalline, fine powder for compression molding, standard flow, suitable for food contact application, color natural white. “KYDEXThermoplastic Sheets:“KYDEXsheets are high performance thermoplastic sheets made from Acrylic and PVC polymer alloy. High performance for applications of Aircraft interior, Mass transit interior and Medical device enclosures. D10 has emerged as a name that reckons design, quality and trust whenever it comes to doors and door-skins. D10 has always strived to bring you the latest designs and trends without compromising on the part of quality. 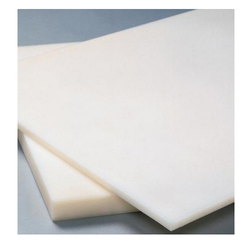 Having years of knowledge in domain, we are actively engaged in offering wide assortment of Thermoplastic Fumigation Sheet. The offered sheets lend a high blend of exclusive qualities such as high impact strength, light transmission, excellent performance, flexibility and light weight and under wide temperature range. Allow us to introduce our selves as a Manufacturer of Plastic Sheets. 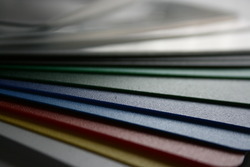 Engaged in manufacturing all kinds of Thermoplastic Sheets Like HDPE Sheets, LDPE Sheet, Polypropylene Sheets (PP Sheets), TPO Sheet, HIPS Sheet, EVA Sheet etc. from Ahmadabad Gujarat India.